I’ll be the first one to hold my hand up and say that yes, a lot of my business relationships have been built or developed over a few drinks in a local public house. It’s one of the many things that first piqued my curiosity about recruiting within the Lloyd’s of London market. Not necessarily the drinking part, but the face to face aspect and the high value placed on human interaction. In a world that is becoming increasingly digitised, Lloyd’s has always been a market fuelled by traditional values. From a recruitment perspective, this is really refreshing; being able to get to know my candidates and clients in full and form a trusting, mutual relationship. However, it’s been reported that Lloyds have seen a number of ongoing problems with excessive alcohol consumption and, whether related or not, a number of sexual harassment complaints and incidents of bad behaviour. Therefore, in an effort to combat some of these issues, this week, Lloyd’s of London has announced a blanket ban on anyone entering the building, and thus conducting business within the marketplace, under the influence of drink and drugs. In my opinion, it should be a given that you can’t turn up to work after 15 pints. And drug use and related bad behaviours are definitely unacceptable in the workplace. My question is, how will this blanket ban effect the nature of their traditional business development methods? Will there be well behaved, respectful people who inadvertently break the rules by accepting a drink over a business lunch and are made an example of? It will certainly be an interesting period of change for some. Fortunately, with the opening of a coffee shop, in place of the historic bar, there is still a specifically allocated place for networking and business development so in theory the traditional ways of conducting business face to face can still continue. However, in my opinion, this could well be a result for the pubs in the immediate area with Brokers and Underwriters potentially still choosing to conduct business over a drink before writing up the deal at Lloyd’s the morning after. Do you think this radical change will help solve some of the other reputational challenges that the sector has and is facing or do you feel that it is addressing the wrong part of a wider issue? Is the blanket ban the right way of addressing the social/drinking culture or will it just make people move elsewhere? I would love to hear whether you feel this decision will ultimately have a positive or negative impact on the way business is conducted in the City. I’d be keen to hear my network’s thoughts – you’ll just have to each tell me if you’d prefer to discuss the matter over a latte or a lager. For most workers, telling them they can't roll into the office stinking of alcohol or high on drugs is unnecessary - because it's taken as read. 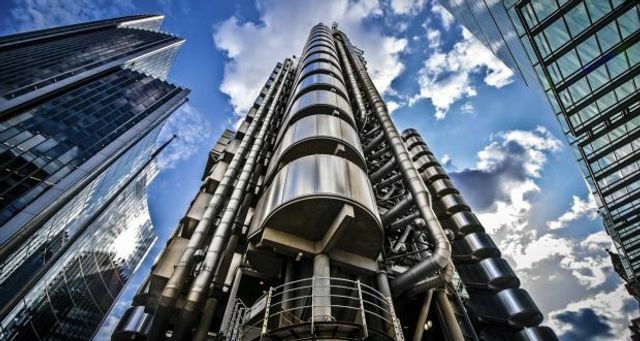 This week, though, the giant Lloyd's of London insurance market, in the City of London, is setting out a new code of conduct: it felt it needed to remind people. The 331-year-old institution, where brokers and insurers meet to do business, is regarded as the last bastion of the financial district's boozy culture. But after recent revelations of sexual harassment and general boorish behaviour, Lloyd's has decided to act. Deliverables or Day rate? The way forward for the Public Sector.